The following comments about attractions in Natal have been posted from individuals. We believe that the best reviews of Natal, Brazil are written by travellers and holiday makers who have experienced Natal first hand and want to share their thoughts. Can you share yours? Please help us expand this section of our Natal World Guide. Let us know what you think about the attractions in Natal, Brazil. 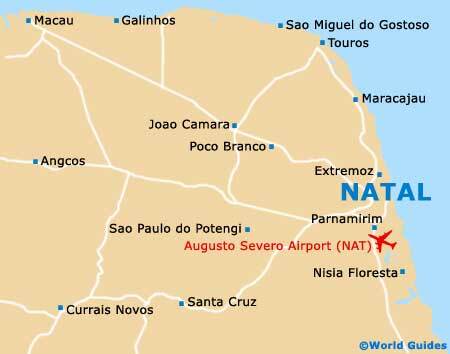 Submit comments about Natal attractions here. We also loved watching the sunsets in Natal so we took a boat cruise down the Potengi River. As the sun set we saw the town from a different perspective and the changing light gave a magical quality to the historical sites that we saw along the way. There was even an audio guide with a variety of language options. We made sure that we watched the sunset every evening and two of our favourite spots were Genipabu Beach and Potengi River. One evening we went for cocktails at sunset and this was the perfect way to end the day. The fort is an interesting shape and it was constructed in 1598. We came across this site when we were walking along the beach and it was an added bonus to our outing. I wanted know more about Natal's history so I headed to the museum, which was packed full of helpful information. Of particular interest to me was the culture displays and I loved hearing the stories of local legends. This site really helped me understand the people of Natal better and the entrance fee was worth it. We went to see a show at the theatre and it was a great night out. The building was completed in 1904 and it is the largest theatre in Natal.